The bird mask in the medieval European tradition is a sinister reminder of mortality – plague doctors wore beaked masks stuffed with herbs to fight off infection. In Commedia dell’Arte theatre the character who wore this mask, Il Dattore, exemplified the pompous faux scholar, talking in bad Latin and taking on completely unjustified airs and graces. 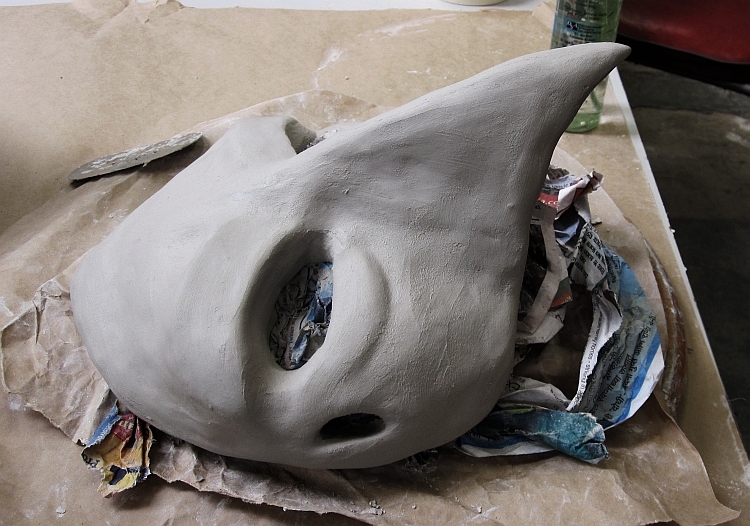 My goal is to create a simplified shape in paperclay that will lend itself to finishing with a fine mosaic. The long-beaked version proved difficult to construct without building an elaborate support, so in the full scale version (slightly larger than lifesize) I went for a shorter beak. Currently drying, before being hollowed out and prepared for bisque firing. 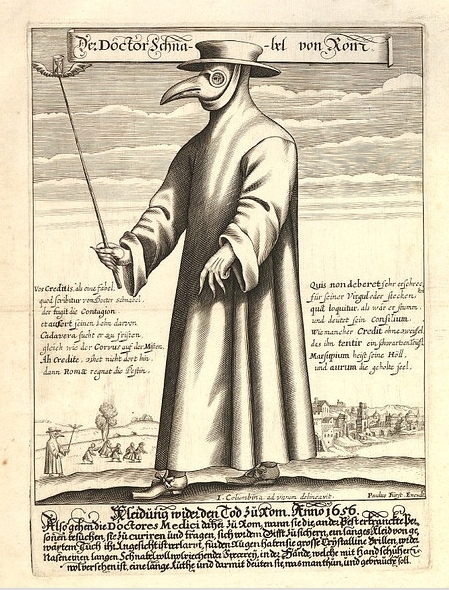 An engraving of Dr. Schnabel, a plague doctor in Rome, 1656. 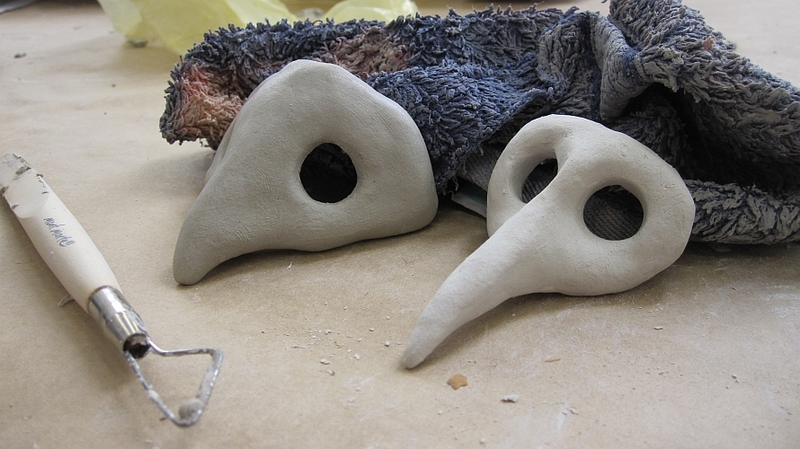 This entry was posted in ceramics, masks and tagged bird, bird mask, doctor, El dattore, plague. Bookmark the permalink.